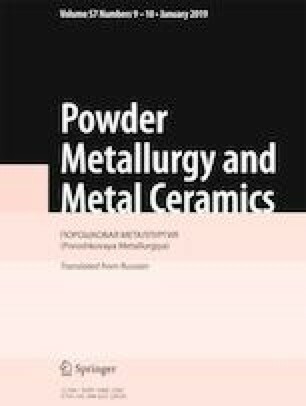 The surface morphology of coatings produced from spherical and nonspherical VT20 titanium alloy powders with different particle-size distributions has been studied. The microhardness and plasticity of the coatings have been determined. The coatings deposited with nonspherical powders are characterized by a fine-grained structure and their micromechanical properties are comparable to those of the coatings deposited with spherical powders. The coatings deposited with the powders of the –160+40 μm fraction show an optimum ratio of microhardness, plasticity, and yield stress, regardless of their structural morphology. Translated from Poroshkova Metallurgiya, Vol. 57, Nos. 11–12 (524), pp. 93–100, 2018.